Late last year, I was able to watch a short segment that NBC News in Cleveland did on a program that was having extraordinary results with people who were struggling with Parkinson's disease. The study involved a scientist at the Cleveland Clinic by the name of Jay Alberts that he began in 2003. Jay was participating in a Ride Across America with a patient and friend of his who had moderate Parkinson's. They were riding a tandem bike, and after the first day, and in all the subsequent days, he noticed a significant improvement in his friends' Parkinson's symptoms. This led him to begin his study, which involved having patients with Parkinson's at the clinic begin riding stationary bicycles three times a week for one hour at 85 - 90 RPM. 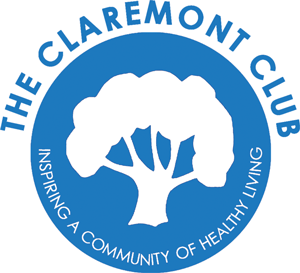 At the end of 2017, we decided to offer this program at our Claremont Club using our cycling studio bikes and our instructors. In my article this month, I want to share with you the data taken by Dr. Zarin and Dr. Bob Sallis at Kaiser Permanente. They are conducting a multi-year study on this program, and the initial results are amazing to say the least. Our program is offered at no cost and runs for 12 weeks. The participants come in three times each week and go through an assessment at the start of the program, into the 6th week and at the end of the 12 weeks. They are encouraged to keep their RPM between 85 - 90, but the average of the first group was actually 78 RPM. The participant's ages ranged from 47 - 89 with the average age being 69.8. Dr. Zarin and Dr. Sallis are using a very standard rating scale, the UPDRS (Unified Parkinson's Disease Rating Scale), which consists of four segments: (1) mentation, behavior and mood; (2) activities of daily living; (3) motor examination and (4) Motor complications. The segment most meaningful is the motor examination that measures tremors, stiffness and the ability to walk. If you have ever watched someone with moderate to severe Parkinson's, you have seen how much they shuffle their feet when they walk and the tremors they have. So, how did our participants do? We saw a 12.82-point drop in their motor skills, which is a 62% improvement. Taking in all four segments of the UPDRS, we saw an 18.33-point drop, which is a 35% improvement. When comparing this to the gold standard medication given to people with Parkinson's, Levodopa, the improvement is clearly impressive. 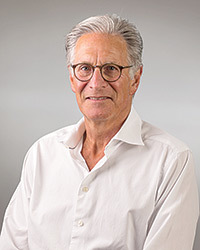 According to Dr. Sallis, the average patient on the highest dosage of Levodopa (600 mg) over the same 12-week period experiences a 5-point drop in their motor skills vs. an almost 13-point drop cycling three times a week for one hour each time. And, with Levodopa, the drug eventually stops working after about four years. Over the 12-week period, the average participant in our program saw their score improve in 39 of the 50 categories of the UPDRS, which is highly significant. In addition, other things like diastolic blood pressure improved, as well, and all participants want to continue their exercise program.